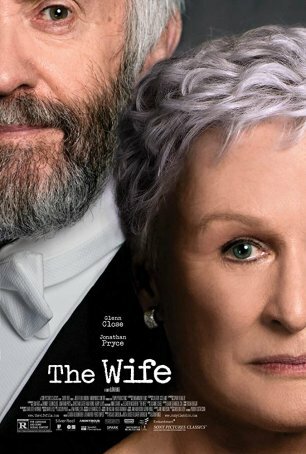 Watching The Wife, I was reminded of how movies used to be. Back in the 1990s, something like this would have been common: an engaging story anchored by two powerful performances. Glenn Close is as good as she has ever been (although I would point to Dangerous Liaisons as her most ferocious performance; some might argue for Fatal Attraction) and Jonathan Pryce is a perfect foil. These two make beautiful music together even as their characters’ relationship collapses into a discordant, cacophonous mess. There’s an element of mystery here that comes out part as a result of a journalist’s prodding and part through a series of flashbacks. There’s nothing momentous about The Wife but it functions equally effectively as a character-based drama and an allegorical statement about the power dynamic between men and women in pre-21st century marriages. It would be as foolish to dismiss the sociological implications of The Wife as it would be to overplay them. The movie makes an unambiguous statement not only about how the cliché of the “long-suffering spouse” grates on the title character but about how wives (especially – but not exclusively – those of high-profile men) often had to adopt a stiff-upper lip/stand-by-your-man attitude (at least in public) in order to preserve not only their husband’s reputation but their own dignity. But, to quote Network, Joan Castleman (Close) is mad as hell and she’s not going to take it anymore. Watching Joan, who starts out like any 60-ish woman married for decades to a luminary, slowly melt down in what her husband rightly recognizes as a stew of resentment, is as pure an act of forceful acting as one is likely to find. Swedish director Björn Runge didn’t have to do anything more complicated than point the camera at Close and let her do what she’s best at. The fictional story is set in the real world and is so believably crafted that, upon returning from the theater, I doublechecked the list of Nobel Literary Laureates to make sure it wasn’t based on fact. It’s 1992 and acclaimed author Joe Castleman (Pryce) is awakened from a deep sleep to the (expected) news that he’s going to be awarded the Nobel Prize for Literature. He and his wife celebrate privately (in an act that includes jumping up and down on the bed like a trampoline) but, once it’s time for the public accolades, her attitude starts to curdle. Joe the narcissist laps up all the attention (especially that of an attractive camerawoman who is assigned to capture his every reaction during the official ceremony). He fakes humility and never fails to lavish praise on his wife, without whom, he asserts, he would be nothing. Yet, though all this, Joan grows increasingly hostile as the secret she harbors eats away at her. And when journalist Nathaniel Bone (Christian Slater), angling to write Joe’s biography, hints to Joan that he knows the truth, she is faced with a choice. In addition to its primary focus on the Castleman family dynamic (which also features a sullen son, played by Max Irons, and a well-adjusted daughter, played by Alix Wilton Regan), The Wife explores aspects of the writing/creative process. The film does more than pay lip service to this because it turns into one of the building blocks upon which Joe and Joan’s relationship is built. Flashbacks from the 1950s show how Joe (Harry Lloyd), a married college professor, seduces Joan (Annie Starke, Close’s daughter doing an effective recreation of a younger version of her mother), his student. Writing is a key element in their connection. It also proves to be a thorn in Joe’s fractious relationship with his son, an aspiring author who craves his father’s praise but never gets it. The Wife is what might be described as a “pure indie,” meaning that it was made on a reasonable budget with a concentration on character and narrative. The actors were chosen not because of box office appeal but thespian ability. If there’s a misstep, it’s that the journalist character played by Slater feels out-of-place, a device used by the filmmakers to unearth the secret more explicitly than would come from the flashbacks. That’s a minor quibble, however, and it helps keep the running length to a reasonable 100 minutes. The Wife has modest ambitions and succeeds in fulfilling them. I wish there were more movies like this one.